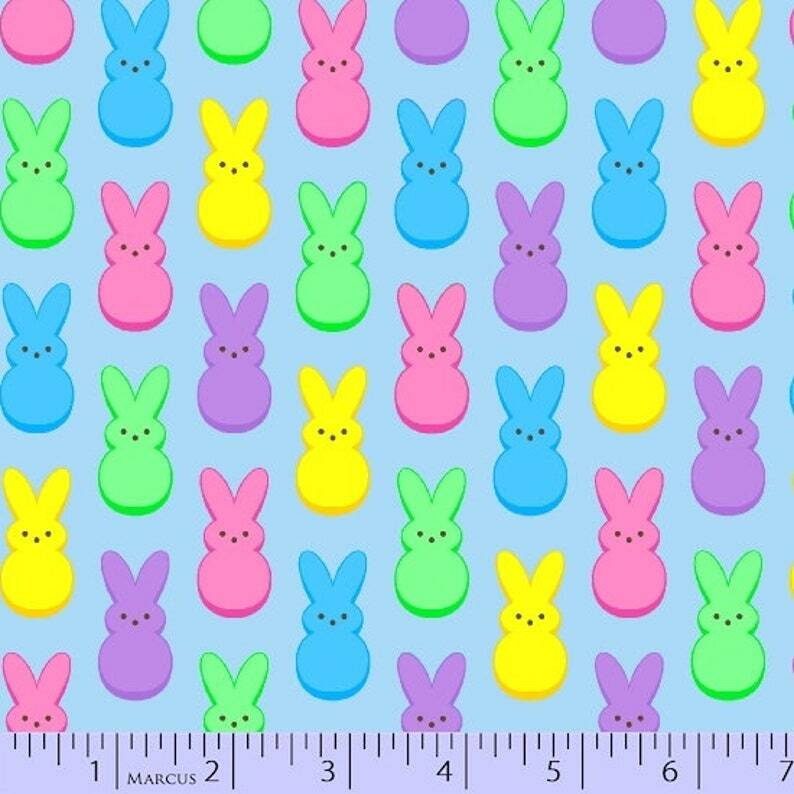 This listing is for Rainbow Marshmallow Peep Bunnies on Blue from Marcus Brothers Fabric's Peep Collection. The fabric is delightful. I made Easter curtains and they are very cheery!